Cult item resurrected for good reason? 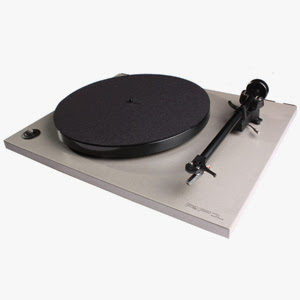 I’ve heard and read complaints about the unadventurous reissues coming from Analogue Productions, especially now that the parent company Acoustic Sounds owns its own pressing plant, Quality Record Pressing. Yes, they are doing many titles previously issued by Classic Records, along with the titles from the Blue Note, Verve and Impulse jazz catalogs among others, so here’s one that doesn’t fit into that ungrateful narrative. 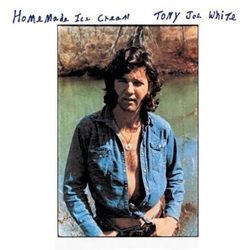 Oak Grove, Louisiana native Tony Joe White is best known for his oddly titled hit “Polk Salad Annie” as well as “Rainy Night in Georgia.” Both have been well-covered and no doubt White lives comfortably off of his songwriting royalties. But White’s mainly a performer who’s also recorded numerous albums, first for Monument and then three for Warner Brothers, with this highly underappreciated one coming last. Perhaps it was bound for commercial failure because record store owners couldn’t figure out what bin to put it in. It’s country, but it’s also kind of hippie-folk too. Then again, it’s got country soul all over it too! While the opener “Saturday Nite in Oak Grove, Louisiana” gives you as fine a sense of what it must have been like coming of age there in the early ‘60s, and so would appeal to the Southern pick-up truck country crowd, White’s ecological plea “Ol Mother Earth” that makes Joni Mitchell’s “Big Yellow Taxi” line “paved paradise and put up a parking lot” sound shallow and uncommitted in comparison, probably wasn’t what the country boys wanted to hear. “For Ol Times Sake” moves the usual country break-up “poor me” complaint to a higher, more sensitive and introspective level of personal pain that would have made the country audience even more uncomfortable, but would have been fine for the sensitive singer-songwriter crowd that bought Warner Brothers product, were they able to get past the opener! “For Ol Times Sake” like “Takin’ The Midnight Train” are two of the most sensitive, heartfelt songs about personal pain you’re likely to ever hear in any musical genre. White looked back then something like Elvis and he kind of sang like him too, minus the bravado and over the top drama and tendency towards the operatic. In fact White often sounds here as if he’s ready to break down and cry, which makes it that much more compelling. He plays guitar and harmonica, backed on this exceptionally intimate sounding recording by a dream team of Southern musicians: Reggie Young on guitar, Crazy Horse producer David Briggs on keyboards, Norbert Putman on bass and Kenny Malone on drums. Not a song on this album is less than compelling and some are downright searing. White’s vulnerability and ability to convey heartbreak and hurt put him in Roy Orbison’s class, though he expresses these feeling less bombastically. The production is intimate and direct, the sonics warm and "you are there" “analog-y” so it’s no wonder Louisiana born Chad Kassem would want to reissue this little known gem. The sound starts out really good but just gets better as it goes, with side two's final four tracks being astonishingly transparent and intimate-sounding—as if you're sitting on the other side of the microphones. So to those who accuse the label of only reissuing the tried and true, here’s one that’s anything but yet very easy to recommend. Put this on late at night and you’re sure get way involved in the music and the sound. This is an easy one to recommend as is packing some Kleenex in your pocket when you first listen! 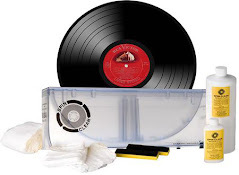 The Quality Record Pressings pressing quality is state of the art.